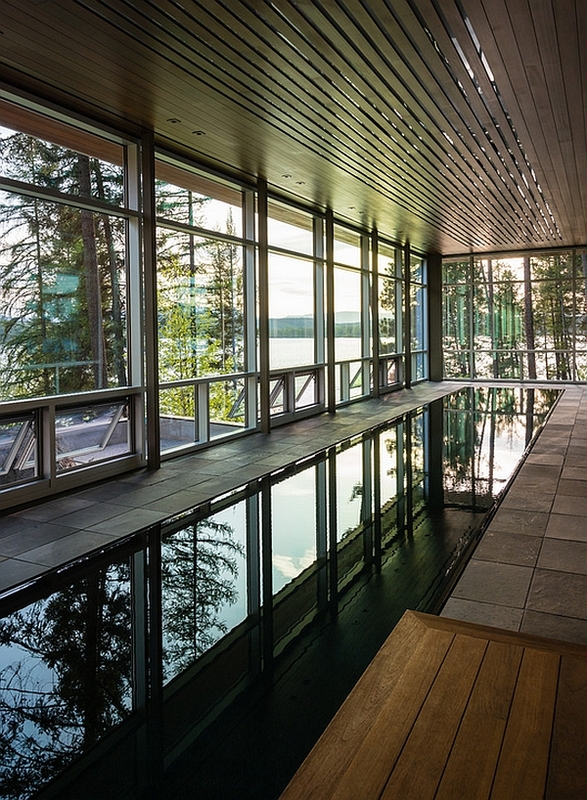 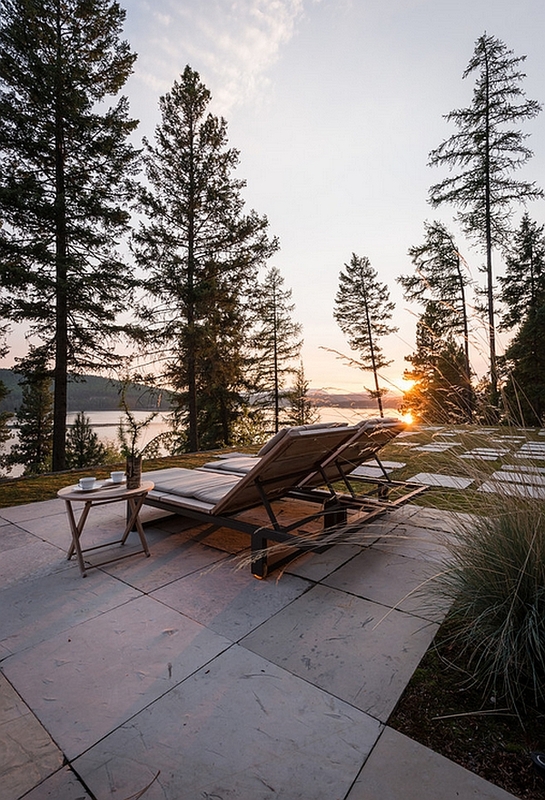 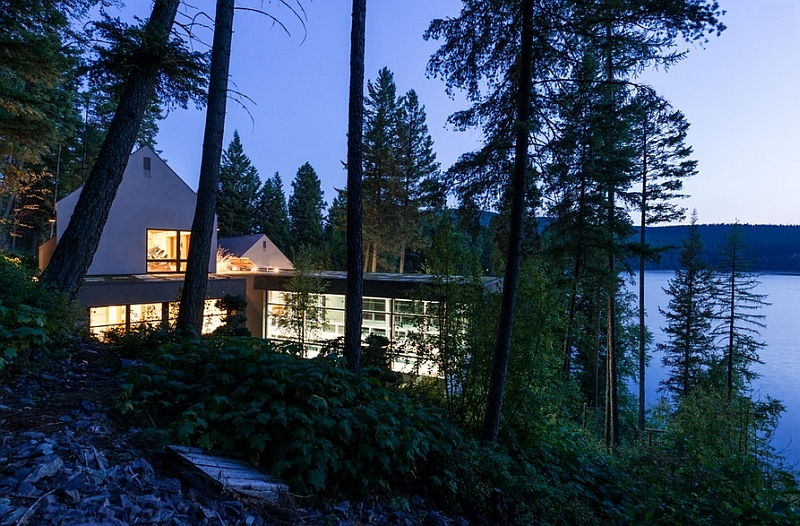 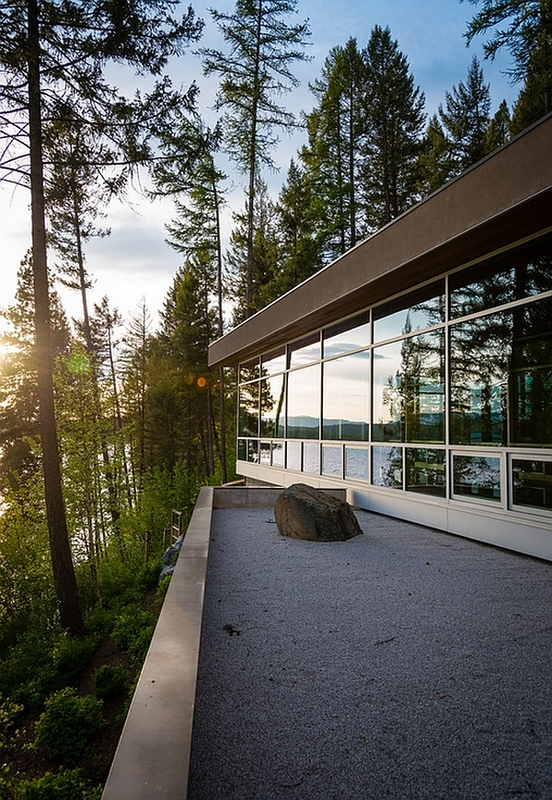 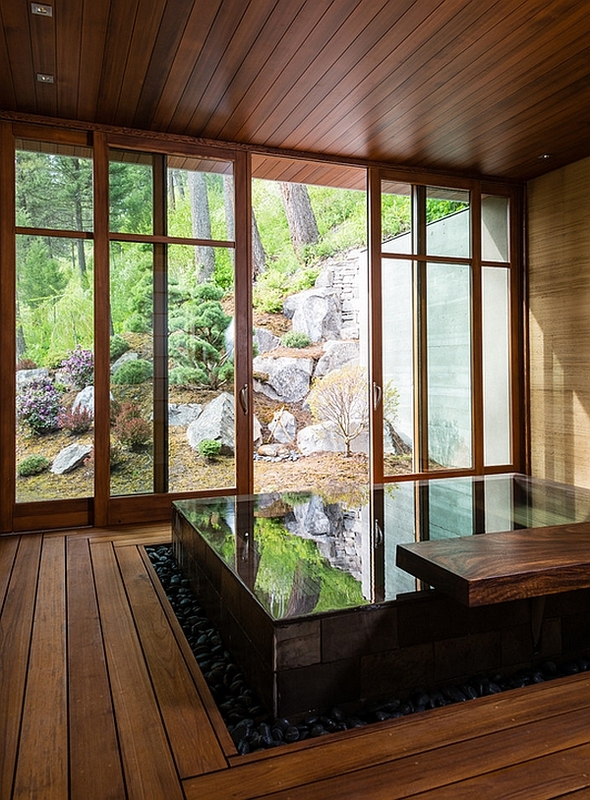 Nestled on the beautiful banks of Whitefish Lake in Montana, this stunning pool house and spa could easily be confused with something that originated in the Far East. 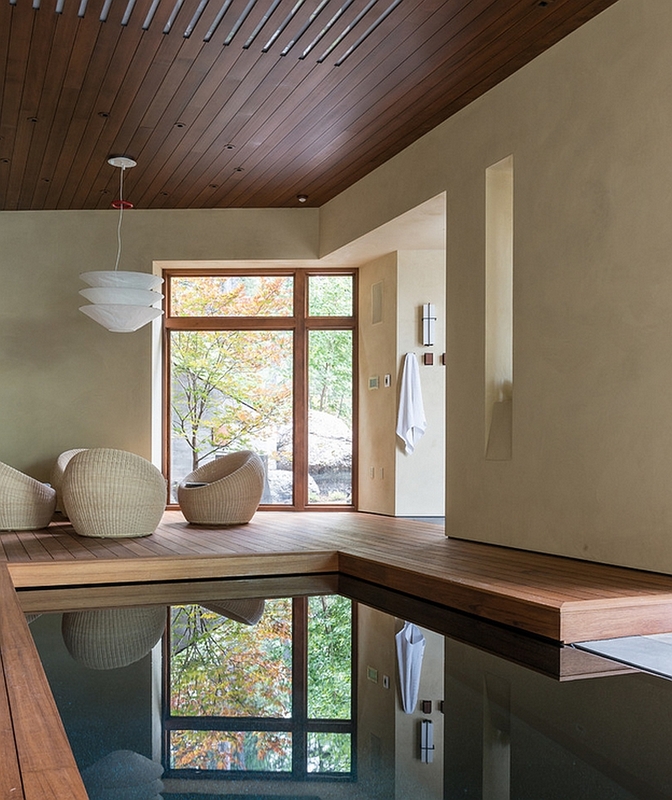 This ravishing retreat is inspired by profound and serene Oriental overtones, and spending time here is all about taking in the scenic beauty outside while having your senses pampered with unending opulence. 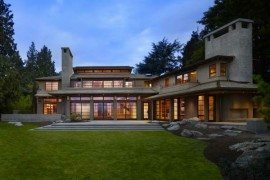 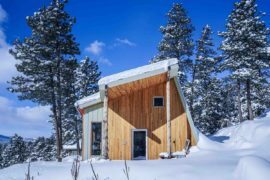 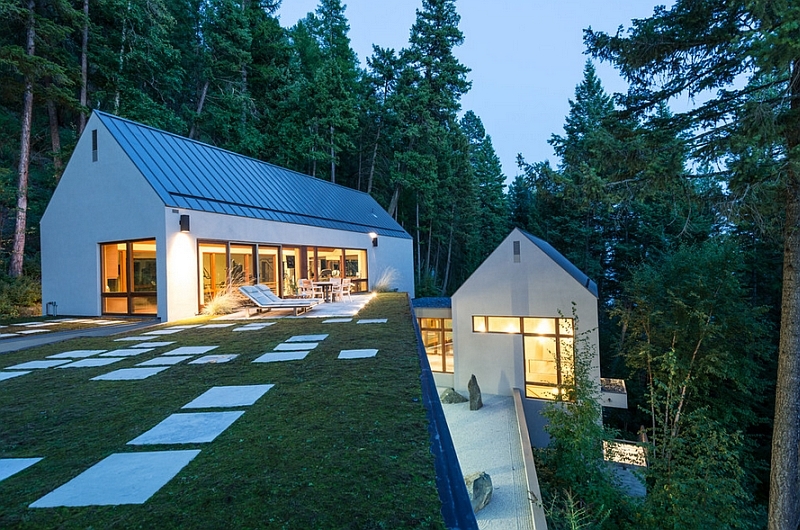 Designed by architect David Koel of CTA Architects Engineers, this tranquil getaway draped in a cloak of green creates a beautiful balance between organic design and natural goodness. 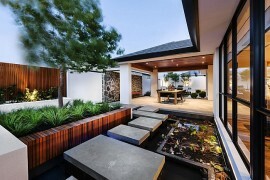 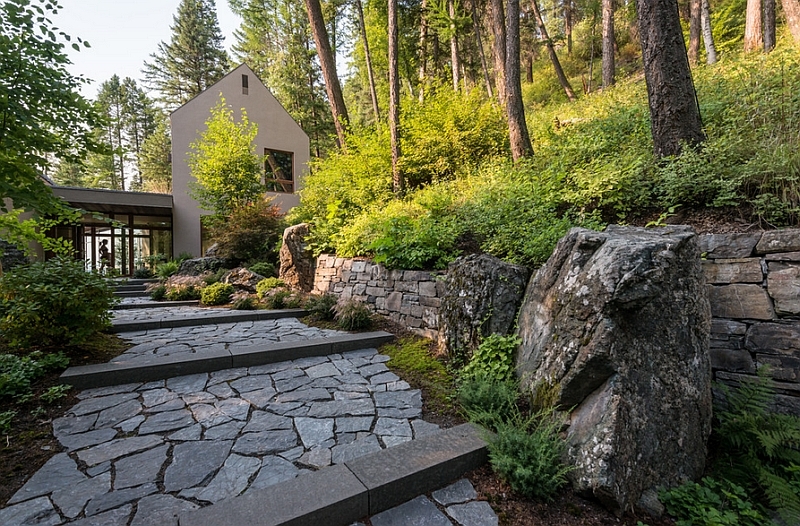 The overwhelming influence of Japanese design is apparent from the very beginning as one comes across a lovely stone garden and a stylish entrance that reminds us of a typical Japanese garden. 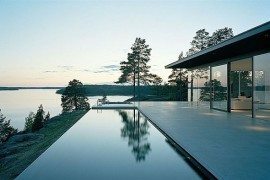 An art gallery with sleek, minimal design sits on the opposite side of the spacious pool house that offers unabated views of the lake, thanks to the extensive use of glass. 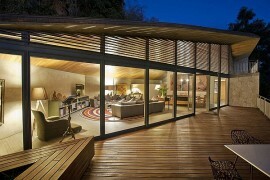 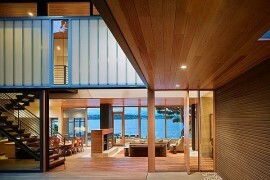 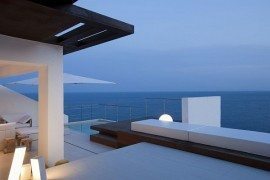 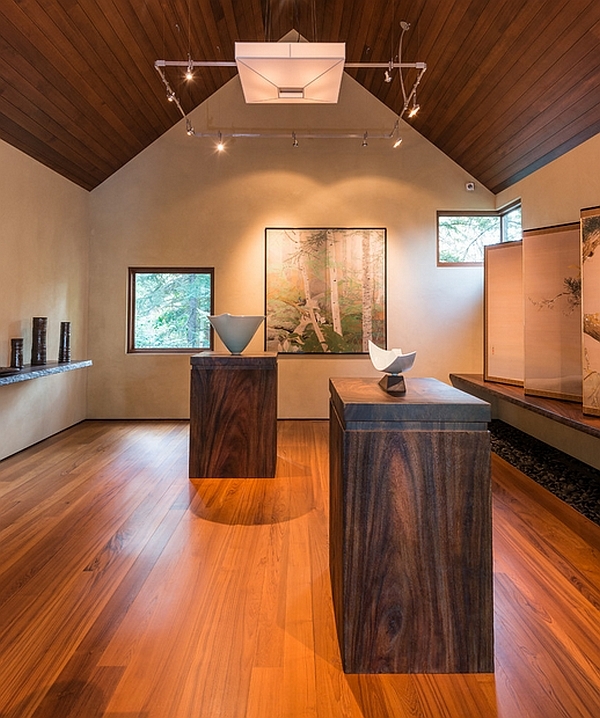 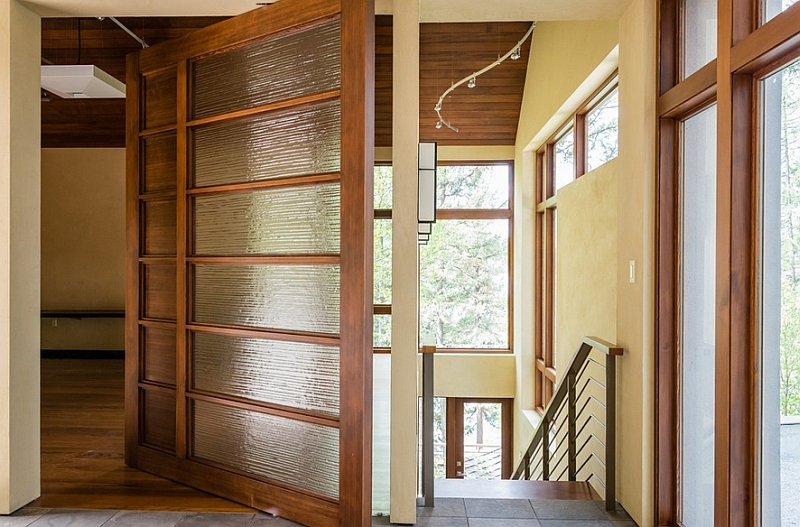 The interior is covered in teak floors, plaster walls and a wood ceiling to give it a peaceful and organic ambiance. 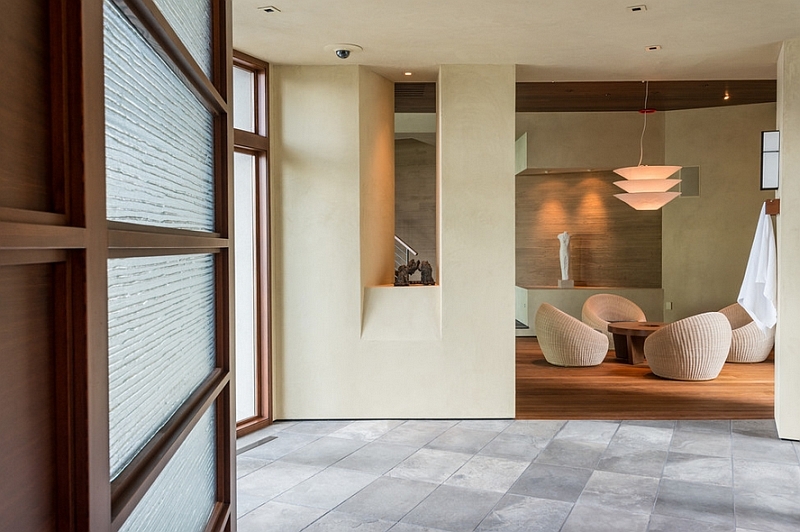 The entry hall is filled with contemporary decor in cool cream and white, as the entire house seems to be drenched in warm, inviting and placid neutral tones. 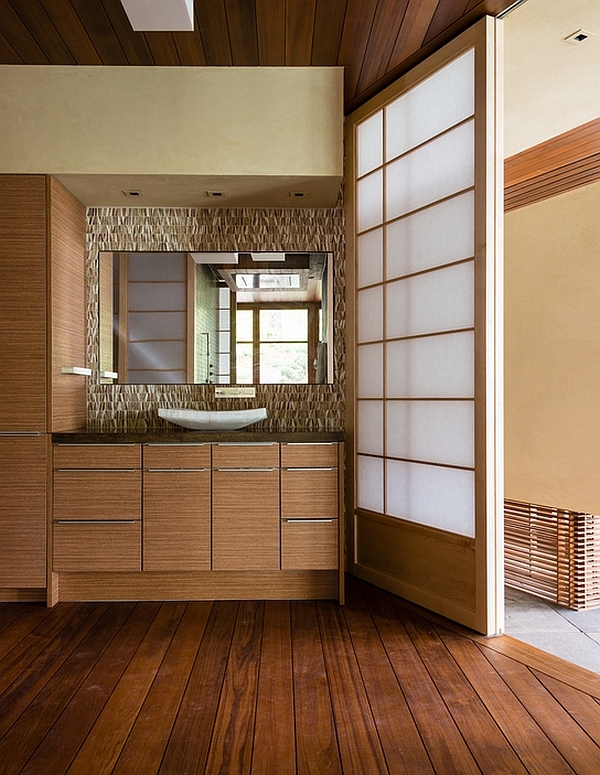 Smart elements like the Shoji-style sliding doors and Isamu Noguchi decor further elevate the authentic oriental vibe inside the pool house. 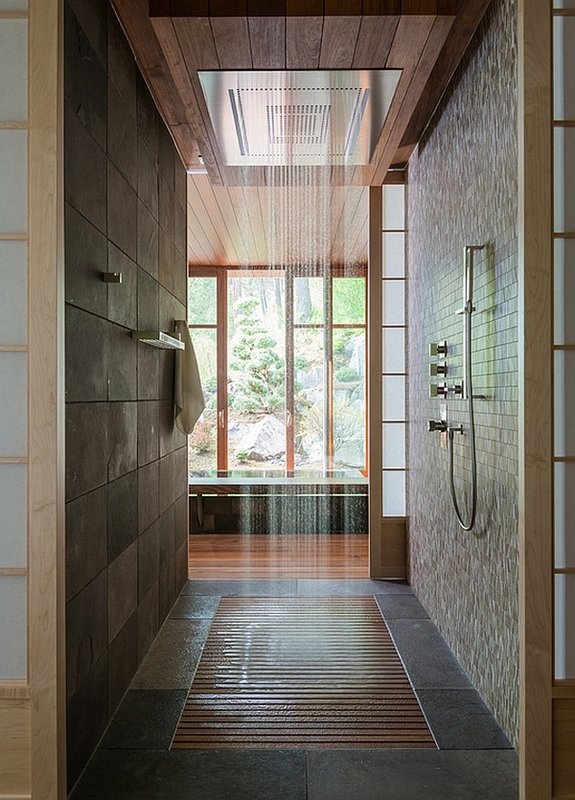 A stunning rain shower from Dornbracht and a laid-back and soothing Japanese bath house complete the spa section of this amazing house. 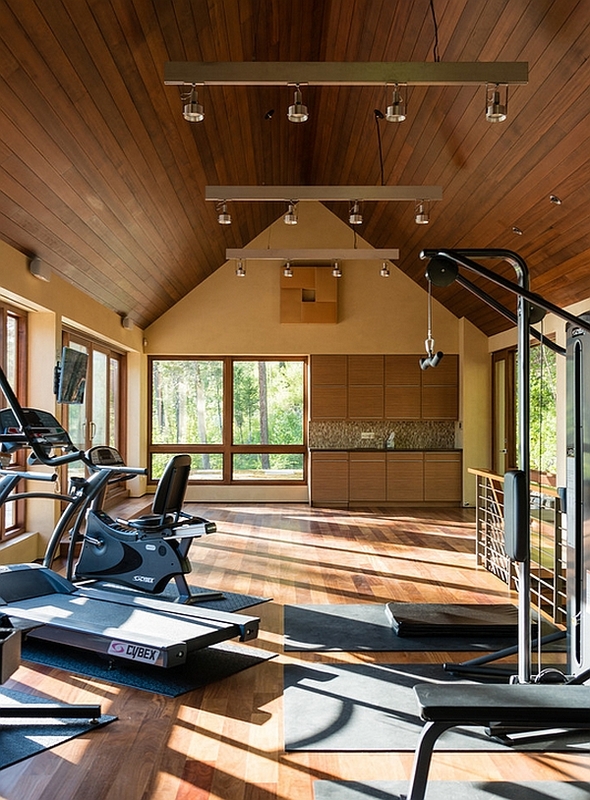 A fully equipped gym further ensures that you have everything you need to relax, rejuvenate and replenish at this remarkable escape.